Ooooooooh you should all be superduper excited about this one. If you don't already know, Dermablend is a product range from Vichy which has been one of the simplest to use, most pigmented, most useful across different skin-types and concerns, most suited to pretty much everyone, most available in most pharmacies and most of all, really mostly not expensive at all at all. It's one of those quiet, unassuming, no mess no fuss, no bells and whistles but really really good foundations. Makeup junkies, makeup artists, bloggers, celebrities have been recommending this for years. This is is the number one recommended "skincare" foundation by dermatologists in the US and the number one overall bestselling correcting/camouflage foundation in the USA, if I have my stats right. Quietly impressive and impressing those in the know since 1981. Around since 1981, this range has had a re-boot and sees the launch of a new compact (cream-based) foundation, concealer and body foundation, joining the (relatively new - a few years old I think?) fluid foundation and setting powder (apparently a miracle product in its own right - must try it out). I have blogged about the Vichy Dermablend corrective foundation before (look here) - it's one of those "always count on it" workhorse foundations, not hugely exciting perhaps, but a powerhouse for all that. Its biggest draws have always been that it is suited to a wide range of skin issues (rosacea, acne, psoriasis, vitiligo, etc, hyper- and hypo-pigmentation), is super-pigmented and super long lasting. Genuinely. No false promises here. On the right, you can see him how he looks in real life. On the left, he's wearing Dermablend all over his skin. Can I suggest you take a gander at this video. 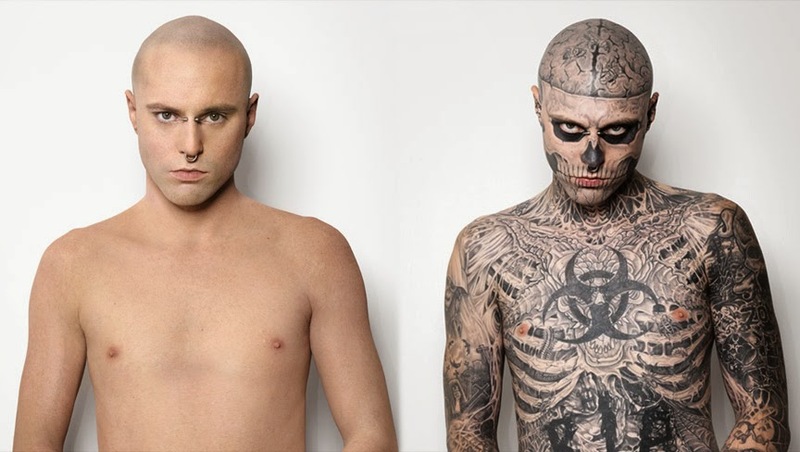 To prove just how effective Dermablend is in terms of pigmentation and coverage, Vichy Dermablend joined forces with Rickie Genast (also known as Zombie Boy) - now the global brand ambassador for Dermablend, to film a video showing how Dermablend is used to cover up all of his extensive tattoos. Impressive stuff, fun to watch, and validates Dermablend's claims to be highly pigmented, cover-all, yet natural looking, at the same time. This is a compact version of the Dermablend Fluid, featuring the standard Dermablend high levels of mineral-based pigmentation, promise to be usable for all skin concerns, dermatologically tested, paraben free, the works (so, should be suitable for sensitive skins). This wax-and-oil based product guarantees a 12-hour hold. It has an SPF of 30. I would definitely easily get 12 hours out of the corrective stick (older foundation formula) so I would imagine this is likely just as good - these promises of longevity are not made lightly in the case of this brand and range! 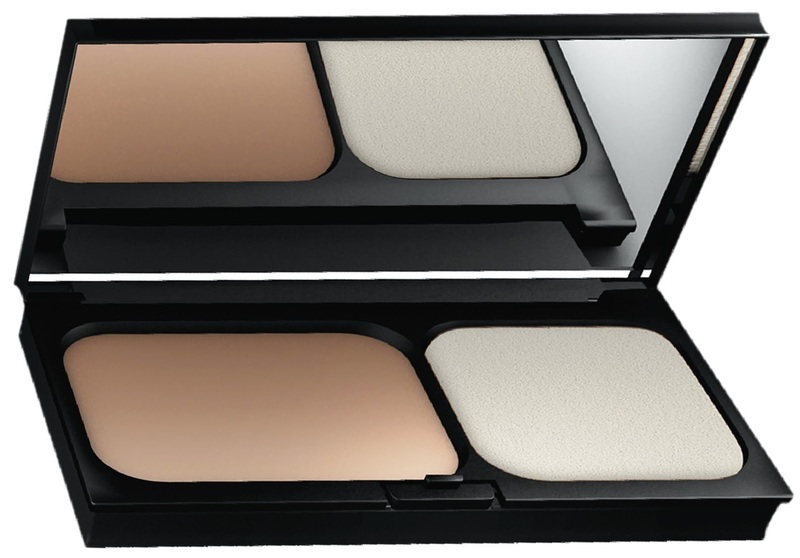 It comes in five shades and will set you back around €24.50 (for 9.5g inc the compact). It advertises buildability and contains pearlescent ingredients for faking radiance, if you need that (who doesn't!). This is a waterproof, sweat-resistant product. This is essentially the Dermablend foundation stick from before, but revised as a smaller size - much better for targetting specific ares of the skin straight from the bullet, as opposed to needing a brush. This one is the real star of the launch, in my opinion. It promises an amazing 14 hour hold, and also has an SPF of 30. This one is also a wax-and-oil -based product and the coverage from this one is shockingly amazing. At the launch for these products, I threw some of this onto one of my dark circles (which was visible again after 12 hours since my makeup was applied earlier that day) and it literally disappeared. This, just to put it into context, blew me away. I have blueness in one area of my dark circles, and blue/purple/grey in another, and brown in another. I am used to using, usually, two or three different correctors to completely hide my dark circles. This one did it with one sweep of one product. A fuller review will follow this, but honestly, I would say - go get out there and try this one for sure! This is the most covering pigmented of the new products. This is also waterproof and layerable, and comes in five shades, retailing at around €17 (for 4.5g of product). Why would I need a separate face foundation and body foundation, I hear you ask? Well, you don't, really. But if you'd like to cover up black ink tattoos, veins, stretch marks, blood vessels, cellulite, burns, scars and all manner of lovely things we unfortunately see as we get older, then this is for you. An ordinary face foundation will work, sure, but it needs careful powdering and setting to ensure it doesn't rub off. This one is especially designed to set quickly, and not to rub off. As it's intended for body use (I was reliably informed that it could technically be used as a facial foundation, but not necessarily recommended), it has a longer wear-time again, around the 16 hour mark is promised. This time, it's got an SPF of 15. It's a fluid-based formulation, based on volatile and non-volatile oils, and I've seen this one in action - it really does cover everything up. It features some texturising and pearlescent properties, so your skin doesn't appear dead matte, and a film-forming agent, which helps prevent it from wearing away, staining your clothes, or streaking due to sweating or rubbing etc. You do need to work quickly with it though, it dries in super-fast time, whacking it on and moving away from it seems to be the best approach - it doesn't layer brilliantly however. This one will set you back around €25 for 100ml and comes in three shades - light, medium and dark. Watch out for reviews on all of these and on the Dermablend fluid foundation and setting powder... coming soon... can't wait to try them out actually.